First and foremost? I want to know where October went. Because hell, it’s way too late for me. I feel like I should have done a LOT more with this month than I did, though honestly that’s because I had wanted to do a lot more than I did. I never kept up with the drabbles I had wanted to do this month, though I do fully intend to continue with my plan to write for NaNo. I’m just going to have to be more careful about staying on task and not letting the month slip away from me. Because in all honesty, I’d really like to win this year. And about two weeks in I always taper out because of Holidays and family stuff, and finals and school which I no longer have to distract me. Secondly, I had a small issue with something today while I was browsing the Nano Forums this morning. Someone in one of the regions I’m part of posted that they wanted to talk to “Properly Published“authors, and by that she meant not self-published and not ebook. And I have a more than slight issue with not considering self-publishing or ebooks ‘properly published’. I know that a good chunk of self-publishers do need better (or any) editors. I’ve run across more than a few that the ideas were solid, but damned if they could just have had someone run through it with the editor’s comb it would have been a hell of a lot better. And I’ve run across more than a few that you sit there wondering where the good reviews on amazon came from because it’s really, really not good. But that isn’t to say that a self-publisher is bad or not properly done. I guess my issue stems from the use of ‘properly’. I wouldn’t have bristled at the term as much if she had used say… ‘traditionally published’. Because I feel like saying that self-publishing and ebooks aren’t proper is discounting a lot of good work and a lot of good people. Especially since there are a fair few of traditionally published authors that are making their way into ebooks, making shorts available to their fans for a cheaper than paperback/hardback price that might fill in the gaps between some of their books. And I think that’s a wonderfully awesome use of the media, by the way, but does that make the short they’re selling for a couple bucks any less proper than the edition that you can pick up in the store? So, I’ve been working up a little bit of stuff around me and I’ve decided to do NaNoWriMo this year. Or more like again. I’ve done it for a couple years, and I’ve yet to be able to actually win it, so I’m putting a lot of will power into steaming through and actually being able to say I won this year. I’ve even got a schedule for the month of October to get me in the writing mood a little more, working on some fics inspired by the daily prompts that are posted in the Prompt forum on the website. And if you’re wondering what NaNoWriMo is? It’s National Novel Writing Month. Basically, for the month of November I promise to work my tail off and write 50,000 words be it a novel, fanfiction, a collection of short stories. 30 Days, 50,000 words. And the focus isn’t to get bogged down in quality so much as getting the quantity out, and then use the month of December to edit what you’ve written. Wanna join the craziness? http://www.nanowrimo.org is the place to go. Sign up is open, and the forums are already a flurry of fun and talking as people prepare for the insanity that is November. If you’re new to NaNo, there are also regional forums where you can see if maybe someone is hosting a write it, or other fun plans to keep people in their area on track. You might make a new best friend. Will I read book two? Probably. Would I suggest this book to people to read? If you don’t mind a little light reading with a few issues, sure. At $2.99 it’s not too heafty of a price to enjoy the story and plot. I really don’t know why it’s so hard to get me to sit down and write out blog posts, or update my twitter for that matter. I always have great plans to, and then they fall short of my wants because something or another gets pushed in front of me. Though, in my defense with blogging, I’ve been vying for a full time desk job that will pay the bills. Something I deeply need in order to survive and all. It’s going well too, and I’m hoping to have the job secured by the start of the new year. So here’s hoping. In other news, I am in the process of writing up a review, though a couple days ago, as I was finishing up the book I was directed by Kindle that since I was reading A, I might like B. And B turned out to be book two of a series named after the book I was currently reading. But by a different author. Color me confused at that point. 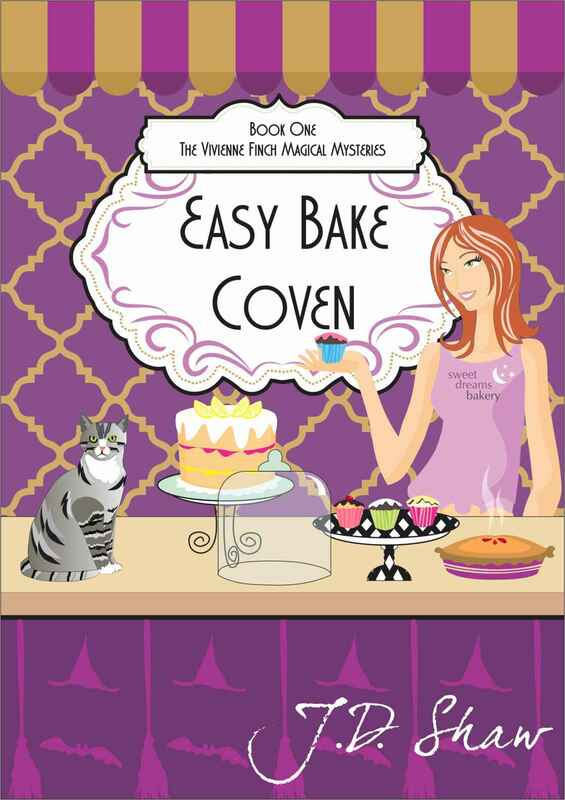 Apparently two different authors used “Easy Bake Coven” as their title, only five months apart. So while the newer of the two’s review will be posted hopefully tomorrow if today pans out as I want it too, the older of the two “Easy Bake Coven” books will be jumping my reading list to top so I can read and review that one too. Which leads me to a poll of sorts, dear readers. Have you come across this before? And I’m not just talking about similar titles, because I have stumbled across similar or same titled books but what was inside, and the genres tended to be different. Both of these books are about witches, and from the description of the second one, they’re both slipping into some mystery as well. And for those that write and publish, do you search to see if anything on amazon, B&N, smashword, etc. has the same title as what you are hoping to name your book? Or do you just publish it without looking?